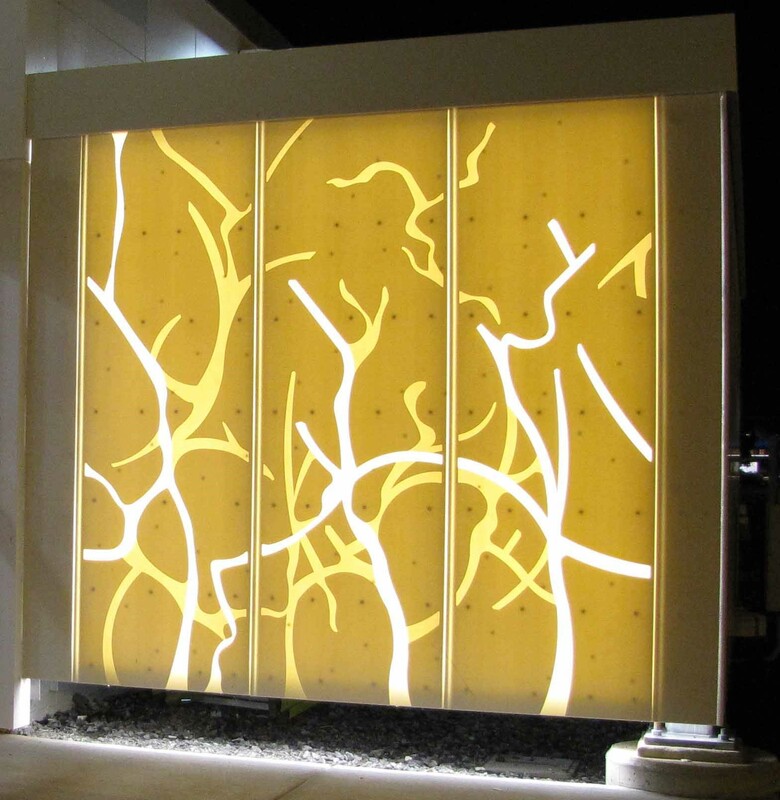 Corian® Exteriors by DuPont is used throughout the world to bring personality to virtually any type of environment. A new guard house in front of the Buffalo Yerkes plant, where most Corian® Solid Surface is manufactured, used Corian® Exteriors to help achieve a unique looking design. Corian® Exteriors by DuPont is used throughout the world to bring personality to virtually any type of environment. A new guard house in front of the Buffalo Yerkes plant, where most Corian® Solid Surface is manufactured, used Corian® Exteriors to help achieve a unique looking design. 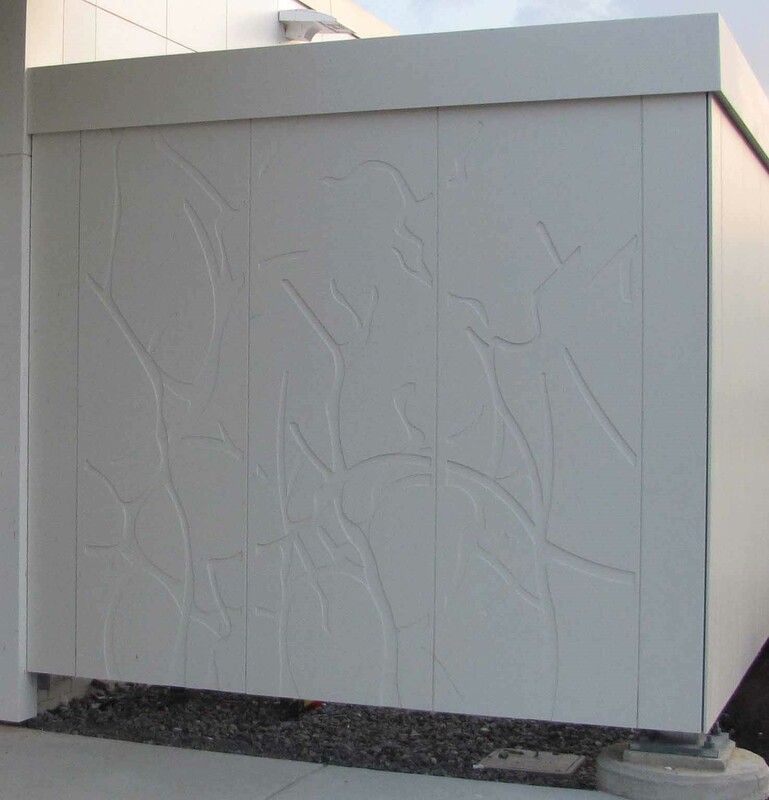 The panels on the building are Corian® Solid Surface Glacier White and the outer barrier walls with backlight panels are Corian® Solid Surface Cameo White. Backlit panels on the guard house also expand what has been done with panels and mounting in an exterior application. Figure 1: Yerkes Guard House; Entrance Hall and Front Video Screen Wall. Includes a view of the guard house entrance hall, west wall, and video screen wall. The backlit garden wall on the inner side of the entrance hall is also visible. One of the unique features of the Guard House is the multi-level ship lap on the cladding panel edges. This ship-lap, or over-lap detail provides an effective joint closure design while still allowing for proper expansion and contraction of the building components. The performance-through nature of Corian® Solid Surface allows for this type of routing, without compromising the durability of the material at the cut areas and eliminates visibility through joints in the drained and back ventilated rainscreen system. Figure 2: Over-lap joints create a continuous look and eliminate visibility between panels. 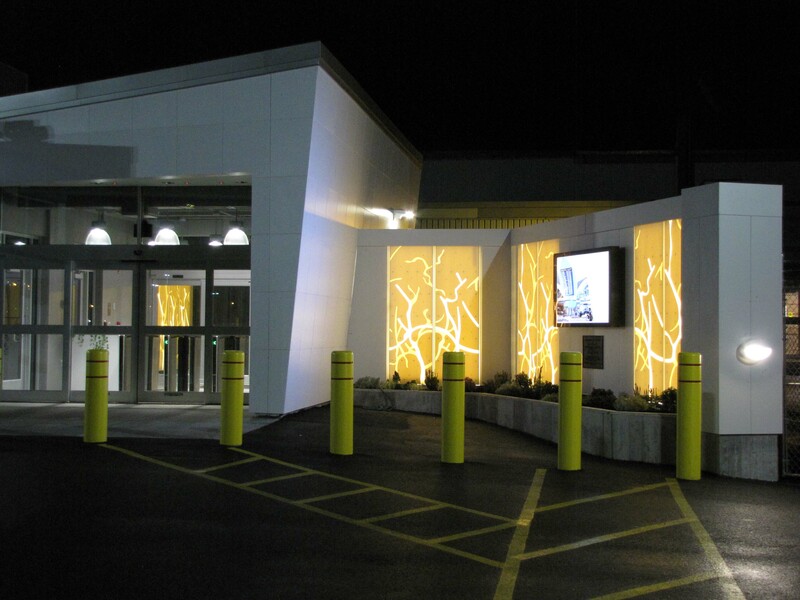 “We are so excited to highlight the many features of Corian® Exteriors in this stunning design at our own manufacturing facility in Buffalo, NY. This modern and welcoming building demonstrates the beauty and flexibility of Corian® while building pride in our manufacturing and technology teams,” said Beth Stewart, Global New Business Development Manager, Corian® Design. “As they come to work each day, our employees see the result of their efforts and continuous product enhancements in a new and modern Exterior application that further connects them with our customers and products,” she added. The backlit panels vary according to the darker regions which are thicker in size than the lighter branch areas. The thinner sections were included in this design to achieve the backlight color contrasts and was accommodated by using much smaller fastener spacings to achieve needed wind load structural performance. The black dots are connectors in the back surface of the panels. Random dots, created with tape, were added to make the linear connector pattern less obvious. Figure 3: Day and Night Photos of the Garden Wall Backlight. A challenge for backlit applications is creating the required fixation back to structure without creating substructure rail shadows in the backlit aesthetic. 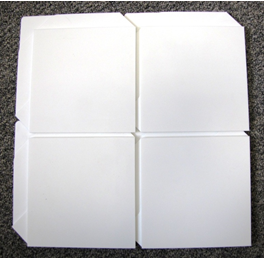 For exterior, the substructure system also needs to include large movement capability to accommodate panel expansion and contraction with temperature changes. A new mounting approach was incorporated on the guard house. Threaded studs are mounted into inserts in the back surface of the Corian®. 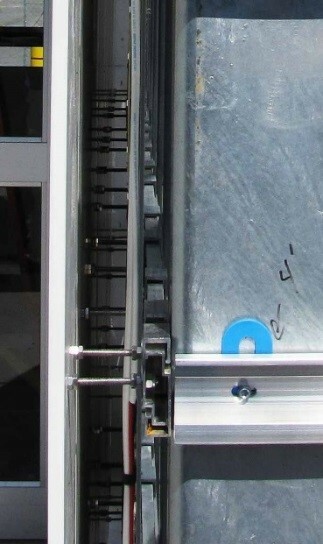 The opposite end of these studs is mounted on extruded clasps of a conventional clasp/rail rain screen system. The clasp/rail system allows the needed solid surface movement. Figure 4: Side view images of the mounting system of a backlit panel before install and panels mounted on the garden wall.